Ever since Euclid published his “Optics” in 300 BCE, many had had fun with light. Bouncing rays off mirrors, bending them through lenses, light’s early students marveled at ordinary beams. But it took 20 centuries of study for anyone to measure light’s blazing speed. Light’s earliest students wondered whether light even had a speed. The Greek philosopher Empedocles thought so, but Aristotle argued that light was “not a movement.” Islamic scientists such as Alhacen and al-Biruni disagreed with Aristotle — light’s speed was finite — but Kepler and Descartes considered light to be instantaneous. During the Scientific Revolution, Galileo proposed the first light speed test. Set two men on hillsides kilometers apart, Galileo suggested. Have one flash a lantern, and the other reply with his own flash as soon as he saw the first. Galileo never conducted his speed test, but in 1667, Florence’s Academia del Cimento did. Alas, even from the hillsides kilometers apart, the time lapse between flashes was far too quick to measure. If light had a speed, how could anyone hope to clock it? Then in 1676, a Dutch astronomer working in Paris used the clockwork of the planets to finally time a beam of light. In the half-century since Galileo had first seen Jupiter’s moons, their pinpoints of light had been charted on timetables. Comparing these tables to his own observations, the astronomer Ole Roemer spotted a discrepancy. When the earth and Jupiter were on opposite sides of the solar system, the Jovian moon Io emerged from behind the giant planet several minutes late. In August 1676, Roemer made a bold prediction. On November 9, with Jupiter at its farthest from earth, Io’s reappearance would be 11 minutes behind schedule. When Roemer’s prediction proved precise, the Dutch astronomer Christiaan Huygens triangulated the distance to Jupiter, divided distance by time, and announced a speed of light that astounded even Isaac Newton — 231,745,536 meters per second. Though nearly 25 percent slow, it was a start. A half century later, British astronomer James Bradley used “stellar aberration,” the apparent shift of the stars due to the earth’s orbital velocity around the sun, to come closer. Sunlight, Bradley announced, reaches the earth in eight minutes and twelve seconds. He was just eight seconds off. Then in the mid-1800s, two French physicists gave light a more precise speed. In 1849, Hippolyte Fizeau sent a beam of limelight through a spinning cogwheel. Chopped into pulses, the beam sped across Paris to the hills of Montmartre and back. The whole effect was like spinning a spoked wheel in front of a TV screen, where the TV’s stroboscopic light sometimes syncs its pulses through the spokes, sometimes goes slower, making the wheel appear to spin backwards. Timing the pulses, the shaggy-bearded Fizeau measured light at 316,197,472 meters per second. Closer, closer. . . . In 1849, using mirrors and a cogwheel, the French physicist Hippolyte Fizeau obtained the first near estimate of light’s speed. 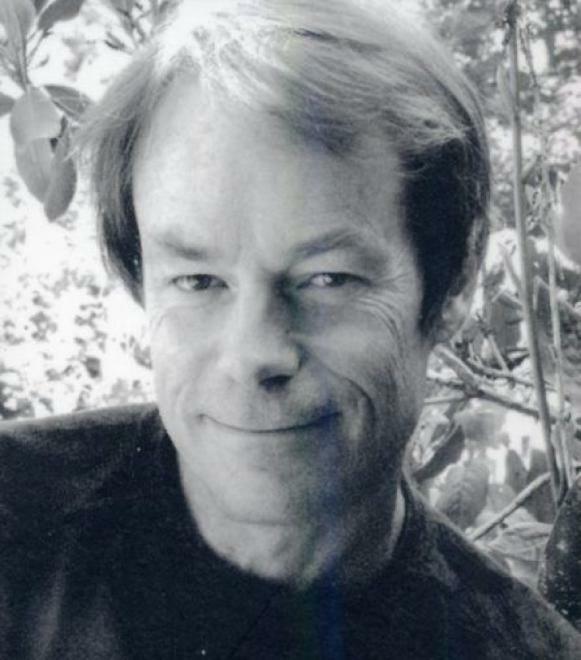 Credit: Bruce Watson. Thirteen years after Fizeau’s test, Leon Foucault, already famous for his pendulum proving the earth’s rotation, came up with the most ingenious idea yet. Foucault equipped his lab with mirrors, one fixed, one whirling at 800 r.p.m. He then bounced light off the spinning mirror, reflecting it to the stationary mirror 20 meters away. By the time the beam returned, even at the speed of light, the spinning mirror had moved the tiniest fraction of a degree. 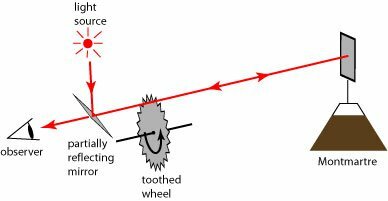 Measuring the angle defined by the beam coming and going, computing the mirror’s angular motion into time, Foucault clocked light at 298,050,509 meters per second. Foucault’s measure lasted until the late 1870s when a young American ensign turned his attention to light. 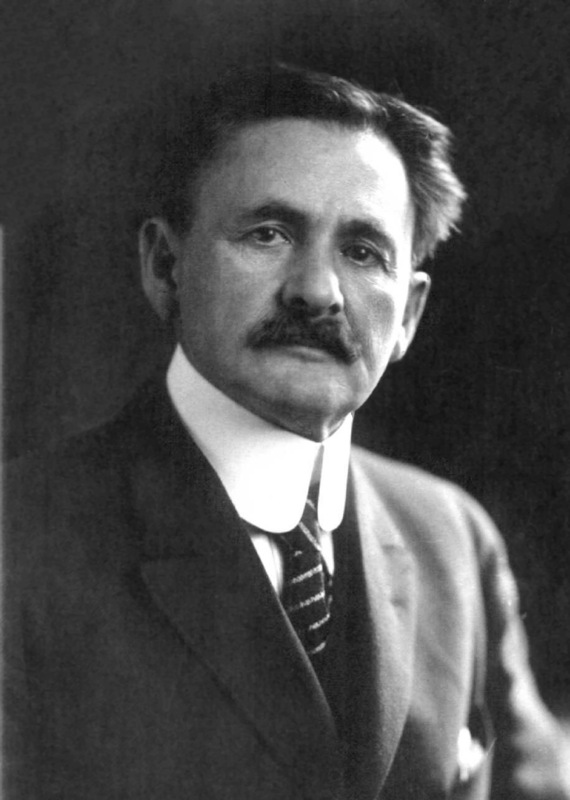 Albert Michelson, son of Prussian immigrants, grew up in Sierra Nevada mining camps during the Gold Rush. Like many landlocked boys, Michelson dreamed of the sea. Too young to serve in the Civil War, he earned an appointment to the U.S. Naval Academy. As an ensign, Michelson measured his ship’s speed by taking readings of wind and water. Something in the process of calculating against the wind, across the water, stayed with him. A few years later, while teaching physics at the Naval Academy, Michelson read of Foucault’s light speed and thought he could come closer. 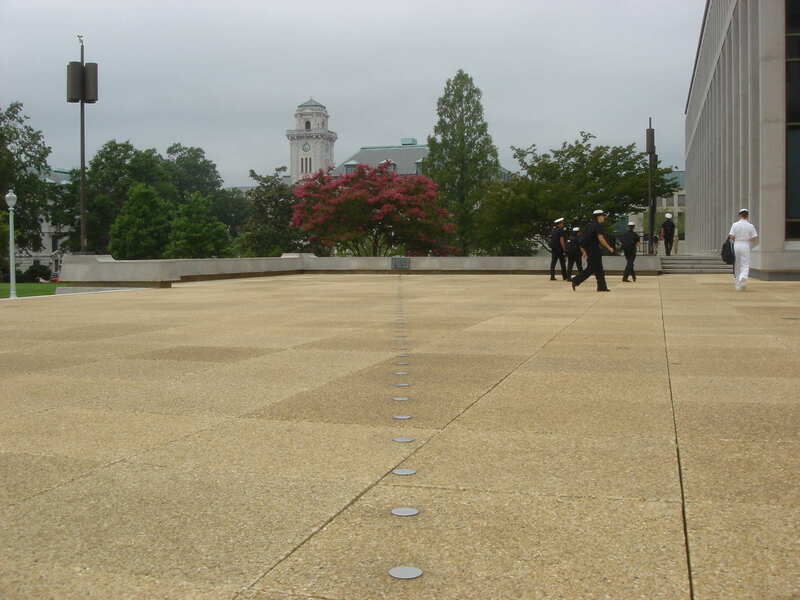 Across the US Naval Academy campus at Annapolis, Maryland, discs embedded in pavement trace the path of Michelson’s light speed test. Credit: Wikimedia Commons. Though Michelson studied light “because it’s so much fun,” he lived in awe of it. In lectures, he urged budding physicists to notice “the exquisite gradations of light and shade, and the intricate wonders of symmetrical forms and combinations of forms which are encountered at every turn.” Yet aesthetics never interfered with his determination to pinpoint light’s speed. During the 1920s, when he was in his seventies, Michelson beamed light across mountaintops in Southern California, bouncing it off a whirling 8-sided prism and fixing a speed — 299,796,647 meters per second — that stood until the age of lasers. nicely written… i have read the story of ether before…. but i got a lot of more information.